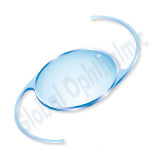 Proxy lenz is a PMMA_IOL with 360° Square Edge aspheric optics. Our PROXY lenz Aspheric PA5225 IOLs are designed with square edge. The 360° square edge acts as a complete barrier to epithelial cells and reduces incidence of PCO. The anterior surface of the Lens is round to avoid glare effect. We provide this lens in different sizes and designs as per the requirement of our clients. Highly biocompatible Clear PMMA-CQ with adequate UV blocking. Aberration Natural Aspheric Biconvex optics. Excellent quality of vision, greatly increased contrast sensitivity and reduced glare. 360°Square edge design provides uninterrupted contact at the haptic-optic junction to limit LEC's migration. Smooth lens surface reduces bacterial adhesion, inflammatory cell response. Step-vaulted haptic design continuous posterior surface contact with the capsular bag to prevent PCO. 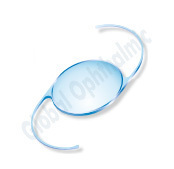 Our PROXY lenz Aspheric PA5525 IOLs are designedwith square edge. The 360° square edge acts as a complete barrier to epithelial cells and reduces incidence of PCO. The anterior surface of the Lens is round to avoid glare effect. We provide this lens in different sizes and designs as per the requirement of our clients. Our PROXY lenz Aspheric PA6025 IOLs are designedwith square edge. The 360° square edge acts as a complete barrier to epithelial cells and reduces incidence of PCO. The anterior surface of the Lens is round to avoid glare effect. We provide this lens in different sizes and designs as per the requirement of our clients. Looking for Proxy Lenz ?